Magento is one of the best ecommerce platforms for businesses to take their business online! The best thing about it is that the company regularly introduces security patches and takes care of the safety and security of its users. 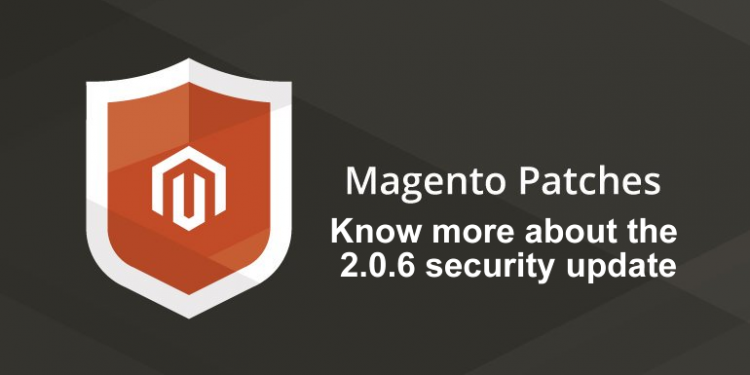 Recently, it introduced the Magento 2.0.6 security update for the Enterprise Edition as well as the Community Edition. It includes multiple security enhancements as well as a few functional ones. If you have not downloaded the Magento 2.0 release, you must skip downloading it and go for the Magento 2.0.6 update. It blocks unauthenticated users from executing PHP code on the server via REST or SOAP API. It means it has become even more difficult for hackers to cause problem to your business by running a malicious code on the server. The company has made the installation code inaccessible after the completion of the initial installation process. The /app/etc directory is not left writeable after the installation which makes remote re-installation of Magento impossible. It means that no cyber-criminal can cause harm to your website. Anonymous users cannot obtain private information of registered customers. The company doesn’t include the cart_id_mask value in the quote_id_mask table making it difficult for hackers to obtain information. Even authenticated users cannot change customer information via SOAP or REST calls. It requires matching of the customer ID with the authentication token to ensure that neither a spiteful employee nor a malicious hacker edits customer information and causes problem to your business. It has resolved a vulnerability that involved cross-site scripting (XSS) attacks in the Authorize.net payment module making the ecommerce platform a better place for its users. Previously, an application error message showed the path of the file where the problem occurred. But, now Magento doesn’t disclose sensitive information of the file because such information was used against the business by hackers. If you are downloading Magento 2.0.6, make sure that you are first implementing it in a development environment. It will give you ample time to check whether the update works as per as your expectations. Updating Magento is simpler when you work with it on a regular basis. If you find it time-consuming, consider hiring a managed IT services provider for your day-to-day IT operations. The company will update security patches regularly as well as protect your business from unauthenticated access. Also, it will ensure data back up and proper functioning of the IT infrastructure of your business. When you require a Magento developer for your business, trust PlatinaIT. We are a premier managed IT services provider for businesses across America. We will protect the IT infrastructure of your business like no other. Call (416) 273-7206 to discuss your IT needs today.